See how to get this book FREE! This is an exclusive offer for our favorite customers! 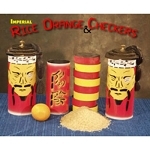 Use the special COUPON CODE to add this booklet FREE to your order! 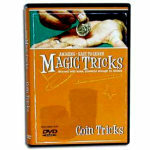 And yes, you'll ALSO get the free surprise magic trick with your order- you'll get BOTH for FREE! 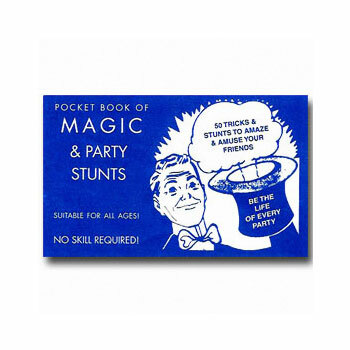 When you visit the MagicTricks.com on Facebook page, click on the Coupons link, and you'll find a special coupon code for getting this booklet FREE with your order! 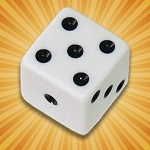 If you are not yet a fan of MagicTricks.com on Facebook, all you need to do is go to our Facebook page and click the LIKE button. Just like magic, you're our fan and can get exclusive offers and discounts! 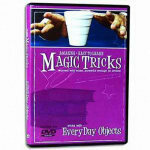 Learn some amazing magic tricks quickly and easily- all using ordinary objects! Imagine being able to break a pencil with a dollar bill! 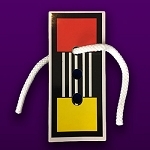 Or make a borrowed playing card stick to the wall, without any sticky substance needed! Or make a pencil stick to your open hand! 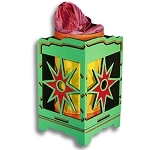 Or even find a secretly selected card- with your NOSE! 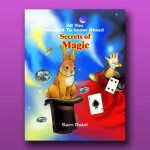 This booklet contains the secrets of 50 magic tricks and stunts you can do! Cards, coins, mindreading, puzzles- it's all here. You're sure to find wonderful, EASY effects that are just right for your performing style! 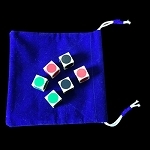 No special apparatus is required, since each effect uses common household objects such as coins, cards, toothpicks, etc. 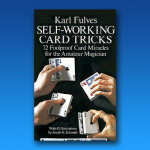 An absolute must for anyone interested in magic, beginner to professional. Softbound. 30 pages with illustrations. This is a small format book-truly pocket size! It's smaller than a playing card in size. You must place a paid order to get this book free.